Bandsaw users within the ToolSelect community, always looking for the next advancement, are looking forward to reviewing and discussing what Milwaukee is calling the most compact bandsaw in the world, the M12™ cordless sub-compact band saw. The M12™ bandsaw is not only ideal for one-handed cutting applications because of its size, it is the only bandsaw on the market with a fully integrated lower guard that covers the blade outside the active cutting area. Bandsaw users in the ToolSelect community have been revering compact bandsaws, and their interest is peaked with the Milwaukee M12™ cordless sub-compact bandsaw, which Milwaukee claims is the most compact bandsaw in the world. Milwaukee power tools regularly generate interest among ToolSelect’s members, and this bandsaw will be no different. With a weight of 6.75 pounds and a length of 12 inches, Milwaukee notes the tool is the lightest and most compact cordless bandsaw on the market. 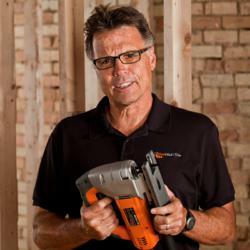 Milwaukee claims the tool can cut through ¾” EMT in three seconds and will give users more than 150 cuts per charge with the included M12™ REDLITHIUM XC high-capacity battery. The tool is compatible with the entire M12™ system. The saw features a 1-5/8” x 1- 5/8” cut capacity and is intended for small-diameter metal cutting applications. A variable-speed trigger and LED light are meant to help users work with speed and precision.